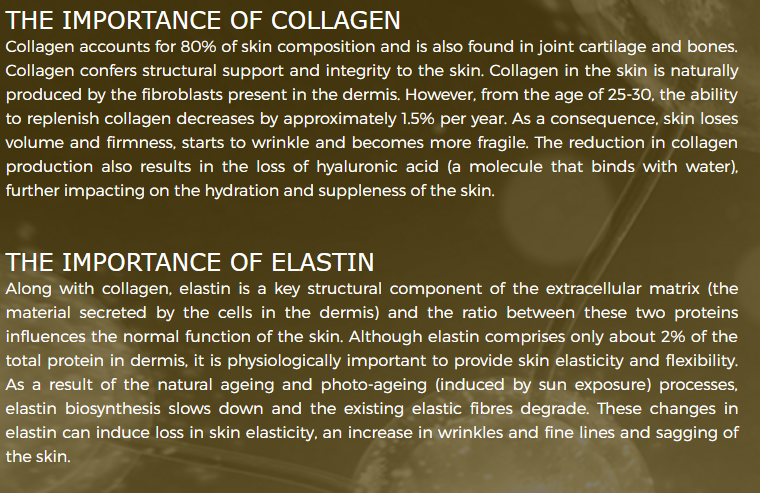 What is Gold Collagen ® Rx? Gold Collagen® RX is an oral liquid supplement developed by doctors and nutrition experts to promote skin health after aesthetic procedures and as a powerful anti-aging treatment on its own. The scientifically-proven breakthrough results that the supplement can achieve are due to its powerful mix of hydrolysed elastin, vitamins and minerals (Gold Collagen®’s European patented complex). It contains the most powerful antioxidant known so far and is the only product on the market with this combination of ingredients. It’s easily absorbed and helps not only to achieve healthy skin but also hair and joints. Independent clinical trial results have proved that the daily consumption of GOLD COLLAGEN® products promotes visible and significant benefits to the skin, such as hydration and elasticity. They have also proven clinically measurable improvements in the appearance of wrinkles, photo-damage and skin architecture. What is the secret behind Gold Collagen® Rx’s powerful skin benefits? 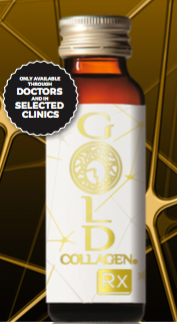 Gold Collagen® RX was designed by doctors and is only available through doctors at selected clinics. That’s why we are excited to say that you can now order Gold Collagen® RX from Revive Hair & Skin. 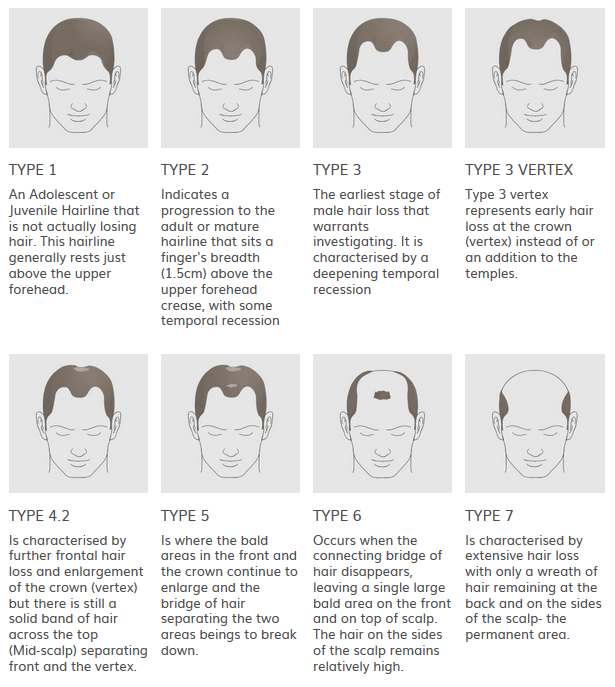 To order Gold Collagen® Rx, simply email info@revivehairandskin.co.uk or call 07572634049. Drink 1 bottle per day.